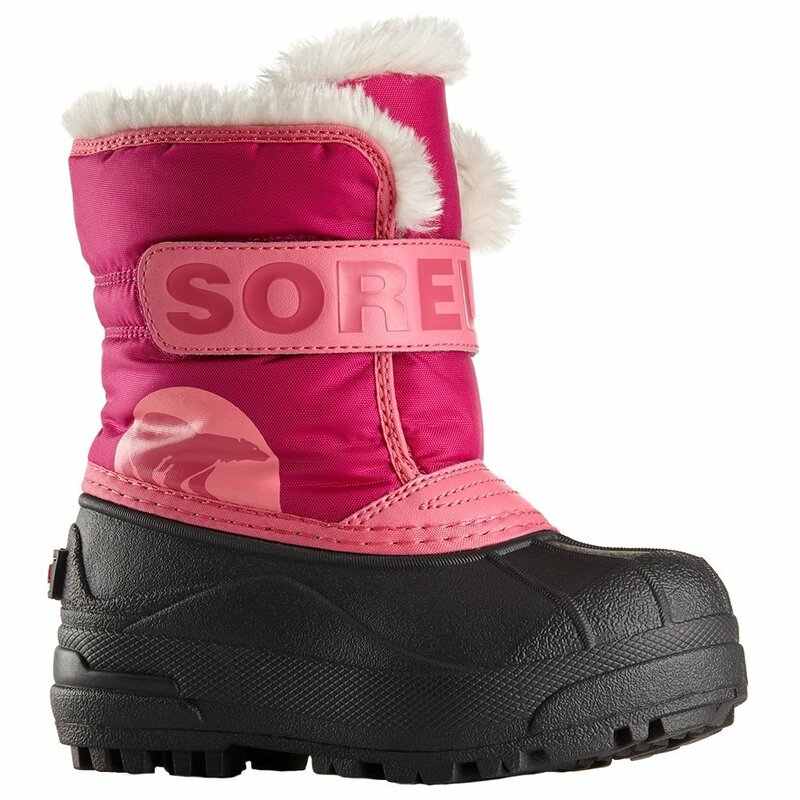 A great first (or second, or third) snow boot, Sorel's Snow Commander™ Boot provides heavy-duty protection and easy operation. The fleece lining invites the little foot in, and a simple strap closure quickly tightens the boot around it. Less time wasted booting up means more time playing and frolicking in the snow. Once there, the combination of PU-backed upper and waterproof rubber shell gets to work keeping the moisture and cold at bay. The heavy 200g insulation ensures that feet stay warm, even if it's -25 F outside. Multi-directional lugs provide sharp, stable traction.